- After a two day trip to RI and catching the Bruins game on Saturday afternoon, a 3-1 win over the Islanders, I wanted to take it easy on the trails Sunday morning after getting back home late Saturday night. I looked at my maps and remaining grid peaks and Mount Cabot fit that criteria perfectly. - While not the most exciting mountain when it comes to 4,000 footers, I have grown to like it more and more over the past year. The previous two times I hiked in from the closed Mount Cabot Trail, so on Sunday I decided to change it up and head in from the fish hatchery on York Pond Road. - It's a relatively easy to moderate climb into Bunnell Notch over an old logging road for the first mile, followed by a climb through the woods next to a brook that flows down from Bunnell Notch for the following two miles. 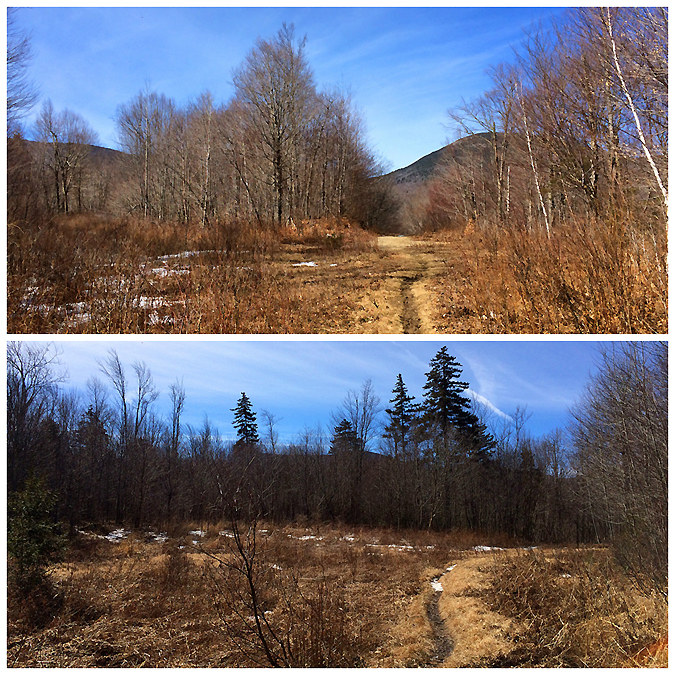 - Conditions this time of year usually include several feet of snow from top to bottom, but since winter never really arrived up in the White Mountains the trails took on a more mid April feel with bare ground, snow, and ice for most of its length. Good news, this might be a year with very little lingering monorail, if any at all! 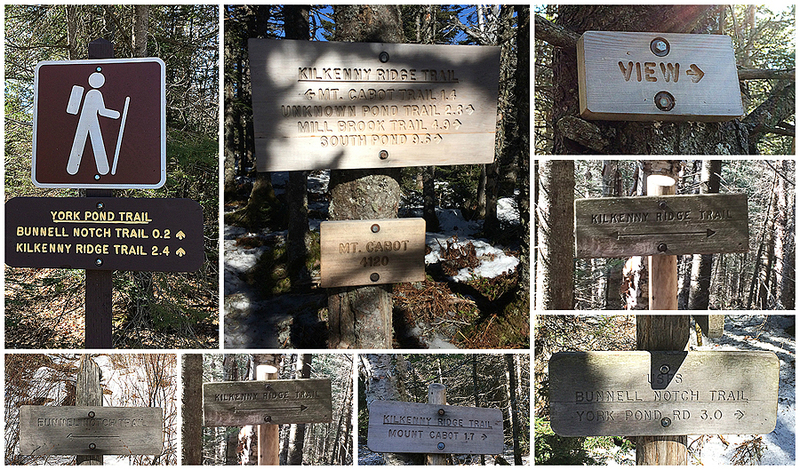 - After three miles the Bunnell Notch Trail ends at the Kilkenny Ridge Trail junction, which is about a mile and a half from the summit of Mount Cabot. After another few tenths of a mile the trail passes by the junction with the closed Mount Cabot Trail and from here becomes steeper and rougher for about a half mile until Bunnell Rock, where there is a fine view down into the valley and all the way south to Cannon Mountain and Mount Lafayette. Once past Bunnell Rock the trail isn't as steep but is still a little bit of a grind as you gain the ridge and arrive at the Cabot Cabin and the clearing located just above it where a fire tower used to stand. 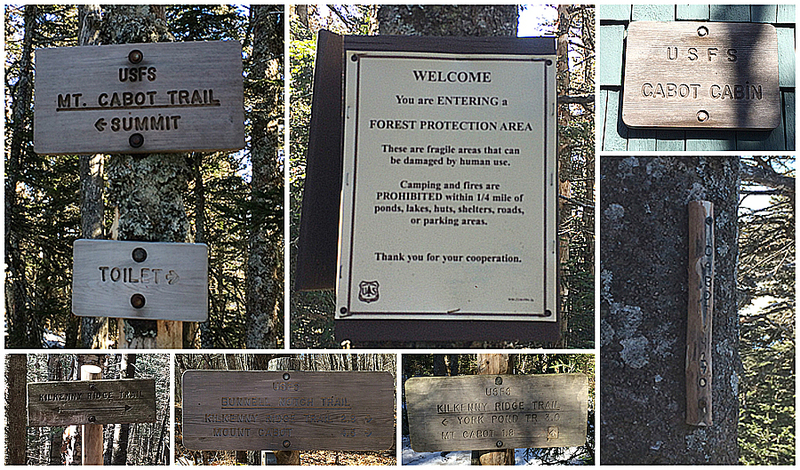 From the clearing to the summit is an easy ten minute walk to the wooded and very quiet summit of Mount Cabot. 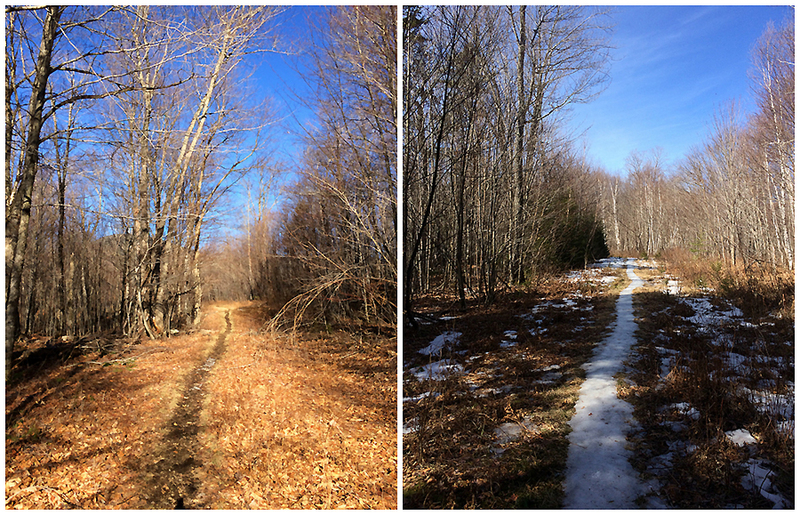 - Although the calendar still says it's winter it was a great mid-spring feel hike and very enjoyable. It was also nice to run into Marvin at the summit, kudos for making the long drive back and forth from RI over these past few years in every month, I know what that is like all to well! Also it was a pleasure to run into Karine, Jeff, and Mark. 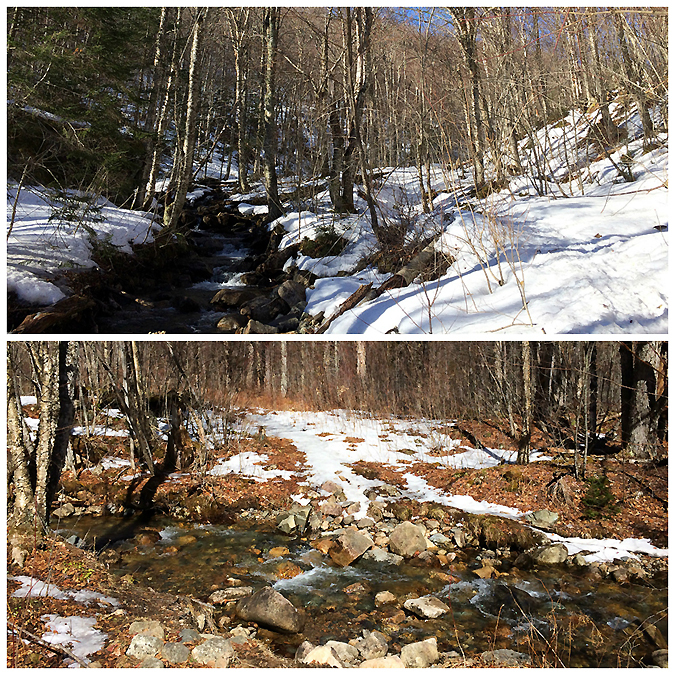 Jeff & Karine were finishing up the single season Winter NH 48 - 4,000 footers, after already completing a single season Adirondack 46ers just a few weeks back, another impressive accomplishment to add to the many hiking goals they have achieved over the past few years, excellent job you two!